Ernie is a wealth advisor and shareholder with Resource Consulting Group. 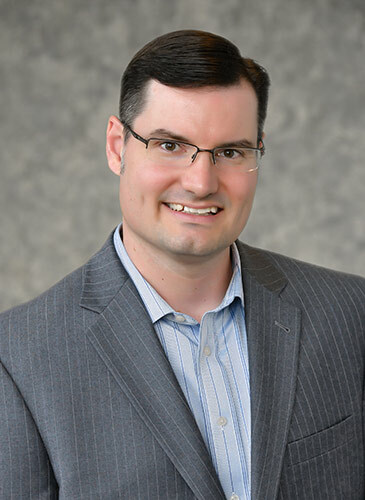 He joined the firm in September 2002 and earned his Certified Financial Planner™ certification in January 2006. Ernie has over 14 years of experience working with clients on their financial planning and investment management needs. As a wealth advisor, he is involved in the creation, implementation, and monitoring of financial plans, and the investment management of client portfolios. Ernie brings years of experience and a well-rounded background to the firm. He has held several licenses in the areas of securities and insurance. Previous positions include supervisor of financial representatives and auditor of institutional pension plans. In addition, he is a member of The Financial Planning Association® and the FPA of Central Florida. Ernie received his bachelor’s degree in finance with honors from Northeastern Illinois University. He grew up in Chicago and moved to Florida in 1999. Ernie is married, has a daughter and is a sports enthusiast. His favorite teams are the Tampa Bay Buccaneers and the Chicago White Sox. It was my sophomore year of college and I took the train to downtown Chicago, to the office of the broker who managed my grandfather’s wealth. My parents had become clients of his a few years prior and invited me to attend their annual meeting. While the details of the meeting have faded over the years I remember vividly that my parents were given very little input regarding their investments or goals. Years later as I was talking with my parents about future career plans, the conversation led back to that meeting. My parents explained that most of their interactions touched on only a few short questions and topics, and a real relationship never developed. Their goals were never discussed and the assets weren’t invested in a manner that helped them achieve their long-term financial goals. I’ve reflected on this often during my sixteen-year tenure at Resource Consulting Group. It’s why I strive to create customized plans to put my clients on a path that will one day make their financial goals a reality. It also fuels my desire to create long-lasting relationships with my clients and build trust so I can help them navigate both the expected and unexpected events they will encounter in the future.